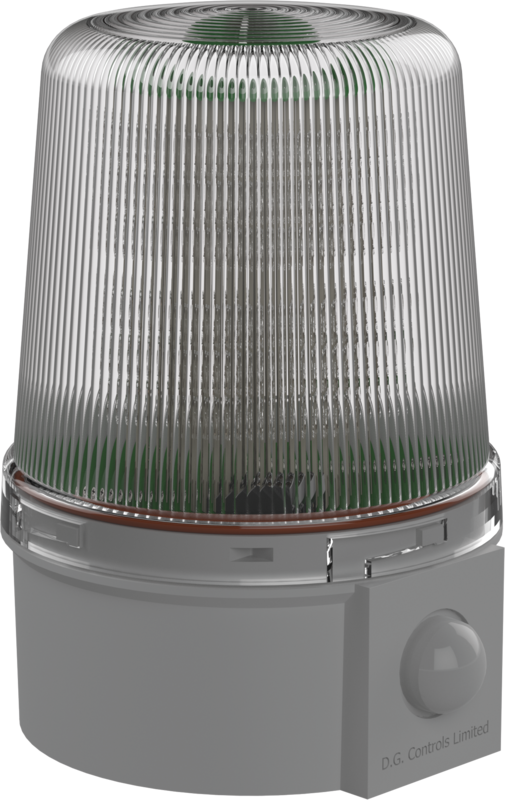 This is a special version of the PSB beacon, with PIR sensing and activation. Employing high-performance LEDs, yielding both high brightness levels and a wider, more evenly distributed angle of view. Movement within the field of the sensor causes the beacon to flash and continue flashing for approximately 15 seconds. When the sensor detects movement again, the beacon will begin its flashing sequence again. Signalling mode is easily configured at installation with a choice of Static, Standard Pulse, Slow Pulse, Fast Pulse, Triple Flash, Random Flash, Strobe (1 pulse per second), and Revolving (simulated rotating). 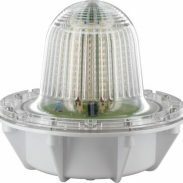 – Available in 10-55v DC, 115-230v UC, and VRD (45-65v AC, 55-95v DC). – A choice of Red, Amber, Green, Blue or Clear options available. Further information can be obtained from our Sales Team on 01283 550850.